Not really sure if these things will work that well for mlcc's & ic's but I thought i'd get one of these rock tumblers they use to polish rocks. to polish rocks they use powders but for milling you need metal balls of different sizes to do mlcc's. I'm thinking of trying mlcc's first to see how fine I can mill down to, I'm thinking doing it dry, same with ic chips after incineration. Actually I don't really know what i'm going to be doing with it yet. Wondering about ceramic cpu's though, wonder if I could just mill the bonding wires out. The basic idea is a good one Ben. Only concern would be whether the plastic material that the drum is made of, would stand up to the metal balls over time. Why would you put incinerated IC chips in Ben. All you should have is dust and bonding wires. 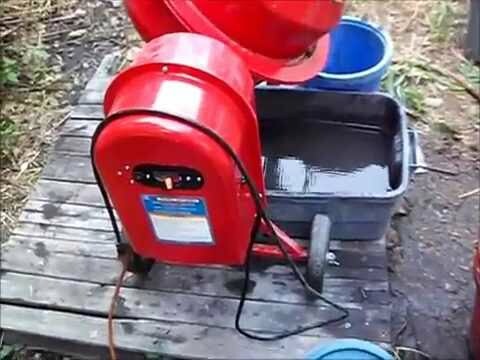 Normally after incineration it is all washed in a pan like in gold panning to get rid of all the dust/ash so that you can process the bonding wires. Actually I used to have a drum roller for developing large colour photographs. Wish I still had it but must have thrown it out one day when I had a clean up bug. Nevermind, I think your idea is very good, be interested to hear how it works. Not sure why incinerated chips, yes I assumed when burning they would turn to ash but seeing others they all seem to have chunkies left over. Yeah my main concern is the plastic container but looking at better mills they have a rubber lined barrel, so if I see the plastic not doing too well i'll probably line the barrel myself with a sheet of rubber. What I would much prefer is to see if the mill will crush ic's without any burning at all. Question: would milling down mlcc's help process them easier? Ben, with the IC chips, heat should be applied below the container they are in. This should turn them to a white ash as I mentioned. Some have tried applying heat/flame directly to the IC's and this does give some problems, so I'm told. Maybe this is where the solid bits come from. I'll try to attach the PDF published by Patnor, it gives a very good description of his process. Don't know about the mlcc's, but have read several times that simply breaking the IC's into a couple of pieces, like hitting them with a hammer or something, they can be processed in the normal acid way. By breaking them, the acid can get inside them to dissolve any PM's they contain. First to admit that I have not tried processing IC's or other like chips. I have buckets of them and must get around to doing something. 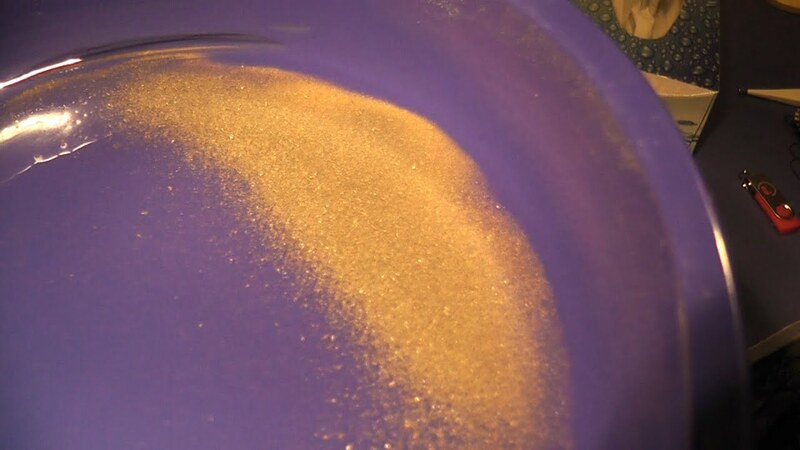 I have concentrated on recovery of gold from pins and plated metal, but as I mentioned to a forum member in a PM, I have recently had a real problem with contamination of my material, so I'm concentrating on that at the moment. Thinking of trying a Sulphuric Cell. We'll see I guess. Ben, I couldn't upload Patnors PDF file, too big and zip files wouldn't work, so I've uploaded onto my website under Refining. It is a pretty good description of the process. Last edited by Okeden; 04-06-2016, 05:37 PM. I wanted to get a metal tumbler from ebay US but they were a little expensive and average shipping was US$120. this tumbler is pretty much the same except it has the polycarbonate tub, but I figured if it was good enough for rocks tumbling then it would be ok for ic's too. but it's only a matter of lining it with rubber just like a steel one is and it wouldn't be any different. Thought it would be cool to watch mlcc's rolling around getting milled and it's got switches & dials, I like playing with those things. It'll be a few weeks until I get delivery of it, time will tell if it works or if it goes with my collection of useless tools that didn't do what I expected, like the heat gun. Okeden In a perfect world I'd like to get visible gold from ic's without the need to burn or refine. so i've been looking at manual methods like this video where the guy just mills and pans, skip to the 3 minute mark. the other option might be to mill and run on a shaker table but I don't think i'll ever have enough to justify a shaker table. Interesting vid Ben. I've also read other opinions where you only have to break the IC's into a few pieces and then process in AR. Theory is that once broken, the acid can get to the gold and dissolve it. This sounds like the cleanest/simplest method I've heard so far. Pyrolizing or milling, whilst both methods appear to work well, just seem a bit messy. Never been a great lover of panning when it comes to flour gold, and what you are getting from milling is just like that. Very easy to lose some of that fine gold. I've actually got some gold that was in rock. I've crushed it in a dolly pot to a fairly fine sand/powder and am going to try recovery by AR. I've tracked down the method of doing it and it is basically the same as the normal AR method except before you drop your gold with SMB, you drop any Ag that is in the solution. Knowing the history of the field where I found it, I'd say there is a bit of Ag in it. I know that's off topic a bit, but it sort off helps demonstrate that there are numerous ways we can recover our PM's, which is why I'm putting together a Sulphuric cell for pins and gold plate. Breaking IC's into a few pieces may work but there'd still be a loss of gold, and gold being 19 times denser then water i'd imagine even the finest of particles would sink to the bottom. maybe after panning for the main gold we can then filter the sludge, from what I understand about the milling process, gold doesn't powderise like plastic or ceramic, it squashes out of the plastic instead, giving it more surface area. Yeah your right about the gold, it should flatten out. It's very malleable like when they make gold leaf, you can get it very thin. But in that video where he put it thru the milling machine, what he ended up with in the pan was like flour gold. Maybe the way his mill works it chopped the gold up like the rest of it. Dunno, food for thought. Good one, not something I could rig up. Incinerating is a process in itself and from what I see not many are getting them hot enough and they're left with over 50% of IC's to fire again and again. whereas a mill gets to the point of separating the metals from the ic chips and there's no fires to deal with. can take years of trial and error before we'd see any gold at all. So i think if we simplify gold recovery and look at processing things in a way anyone can do it to the point where they have visual gold to send off it would seem more achievable. Most of the people that sell boards & bits to me offload their entire collections they build over a few years, reasons always are they thought they'd refine it all but eventually realised it's never going to happen.